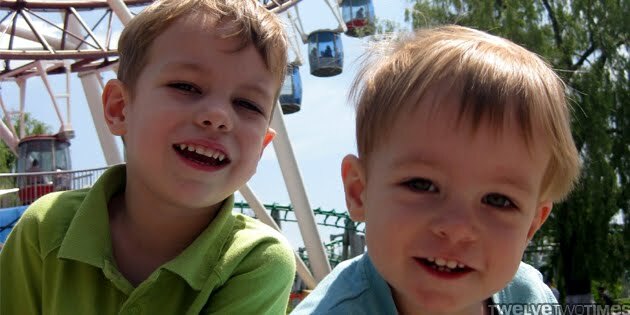 We've been promising to take Kanyon to ride the Ferris wheel that's just across the street from our campus. First we'd say after daddy's birthday, then after Easter, then after May holiday, then finally after Gramp's birthday. So we finally went yesterday. Harbin's Ferris wheel stands 110 meters tall, ranking it #15 among the world's tallest. We had an uneventful 20 minute ride around as Kanyon "drove" and Corbin stood on the seat looking out the window. It's beginning to be an annual springtime tradition. Any time I get on a Ferris wheel, I have flashbacks to 2006 in Nanchang. At the time, the Star of Nanchang was the world's tallest at 160 meters (it's since been passed by a wheel in Singapore). As a team we decided it was worth a trip across the river to see the thing. The trip around begins as usual, until we get about a quarter of the way around. The wheel suddenly stops, lights out, A/C goes off, and we're stuck. The compartment quickly becomes a sauna with sweat puddles in our flip-flops. Through communication with our driver (who stayed on the ground) we learned that a blown fuse had caused the whole mess, the repairmen are working on it, and we should be going again soon. Tick-tock, tick-tock. 45 minutes and a few plans to bust out a window if we start needing more air later, the wheel starts to move again. 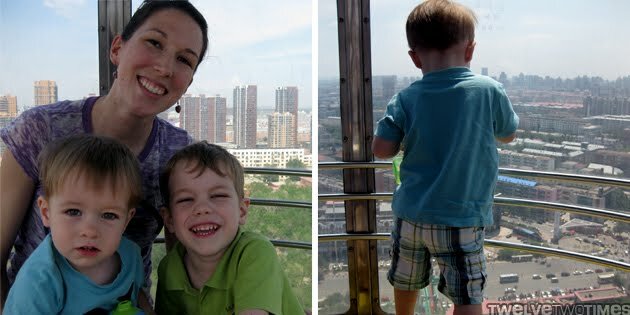 At the time, I didn't think I would ever ride a Ferris wheel again but Harbin's annual ride is beginning to change that. If I ever get back to Nanchang, I may give the Star a second chance.